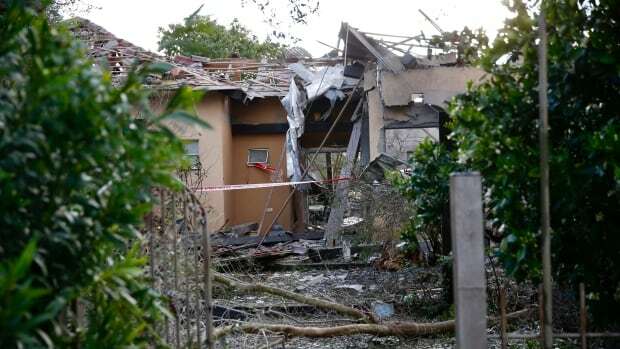 An early morning rocket from the Gaza Strip struck a house in central Israel on Monday, wounding seven people, an Israeli rescue service said. The attack, which could set off another round of violence, comes 10 days after rockets were fired toward Israel’s densely populated commercial capital of Tel Aviv. The Israeli military at the time struck back in Gaza and the sides appeared to be hurtling toward another confrontation. But Gaza’s Hamas leaders said the rocket was fired accidentally and calm was quickly restored. Netanyahu is currently in Washington, set to meet later in the day with U.S. President Donald Trump. The Jerusalem Post reported that Netanyahu would return immediately after his meeting with Trump.